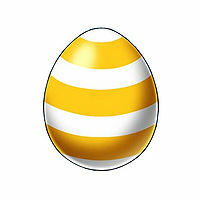 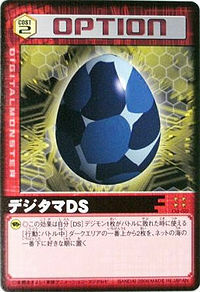 Digitama (デジタマ, Dejitama; Dub: Digi-Egg), also referred to as Level 0, are eggs from which Digimon are born; they are the beginning and the end of all Digimon. 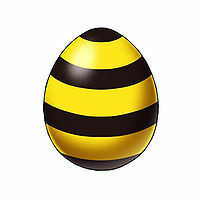 It is a portmanteau of the words "Digital" and "Tamago" (卵), egg in Japanese, hence it is literally translated as "Digi-Egg". 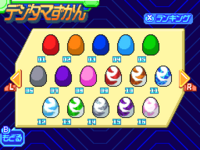 They come in a variety of colors, shapes, and sizes and typically hatch into Baby I Digimon, but will sometimes hatch directly into a higher form, even an Adult Digimon like Numemon. 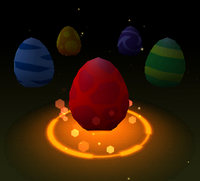 In rare instances, it is possible for a single Digitama to produce twins. 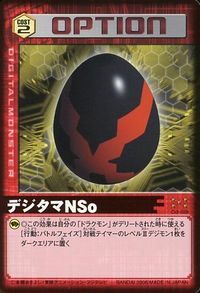 Both Victory Greymon and Z'd Garurumon possess an evolutionary code that differs from Digimon that were naturally born in the Digital World, and it is thought they evolved from Digitama that were produced due to artificial data intervention. 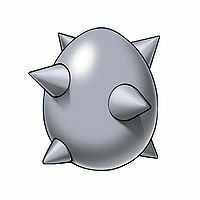 Random data roaming about the Digital World may coalesce into a Digitama, or alternatively human involvement, as was the case with Kuramon whereby the aggression generated by the malice of people who abuse the Computer Network, and the conflicts which are unfolding on the Network, manifested, creating a single Digitama condensing humanity's destructive instinct within it. 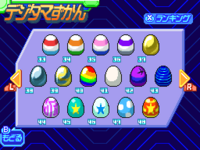 As a result of evolving from a Mamemon that fused with file management software data, Catch Mamemon seems to think that managing Digitama is its duty. 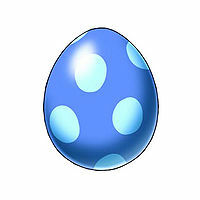 Digimon that are deleted due to their life span ending, or being defeated in battle, are ultimately transmitted to the Dark Area where Anubimon has the ability to reset them back to a Digitama depending on how good their data is. However, should that data be evil, it imprisons them within eternal darkness. 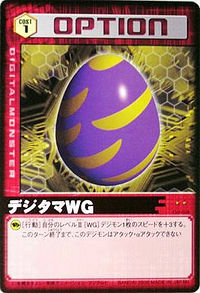 Furthermore, the process of being reincarnated as a Digitama is circumvented if Digimon are consigned to oblivion by the Digimon crowned as the Seven Great Demon Lords, and their data is sent to the center of the Dark Area, and becomes the flesh and blood of the Demon Lords. 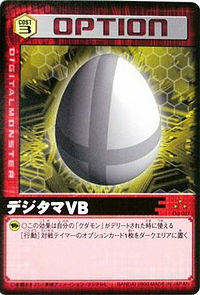 Valkyrimon produces an aurora from the shining armor it wears, which resurrects the data of heroes that have fallen in battle, and returns them to a new Digitama. After the death of a Jogressed Digimon, instead of reincarnating into two separate Digitama, sometimes the two Digimon will be reborn as a single combined Digitama with the potential to grow stronger than their previous forms. 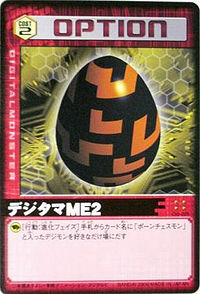 There are very rare occasions where Digimon have been reborn from within the corpse of their data instead of a Digitama as according to one theory, when Millenniumon died in a furious battle, the dark soul it possessed was reborn as Zeed Millenniumon. 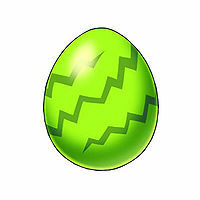 The Digital Accident Tactics Squad, DATS, was established to maintain the peace between the Real World and the Digital World by neutralizing any disruptions caused by Digimon, reverting them to their Digitama state and transporting them back to the Digital World via a Digital Dive. 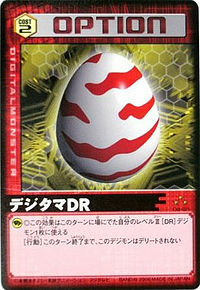 After Xros Up Arresterdramon Superior Mode destroys Quartzmon's core with the Brave Snatcher, he is reborn as a Digitama, which becomes part of Akashi Tagiru's Collection. 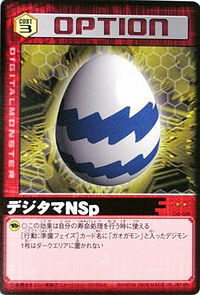 The Digitama was then taken by Shoutmon back to the Digital World for safe keeping. 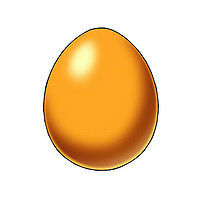 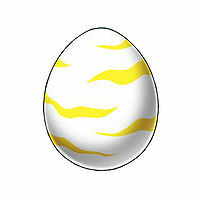 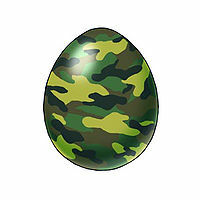 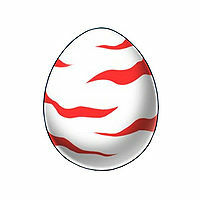 A Digimon's egg. 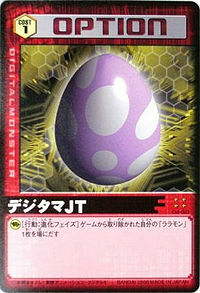 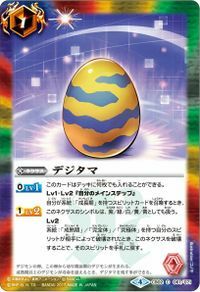 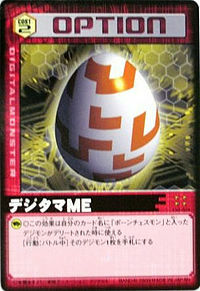 A Baby I Digimon will be born from this egg. 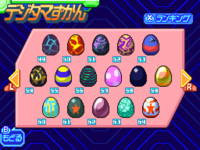 When a Digimon of the Adult level or higher reaches the end of their lifespan, they may leave a Digitama behind. 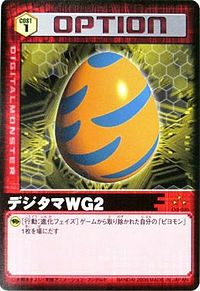 ↑ Digimon Xros Wars: "Burn Up, Tagiru! 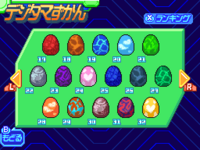 The Glorious Digimon Hunt!" 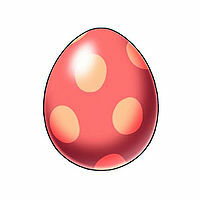 This page was last modified on 21 April 2019, at 21:45. 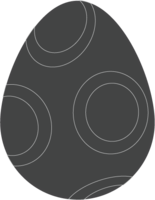 Content is available under a Creative Commons Attribution-ShareAlike 3.0 Unported License unless otherwise noted.